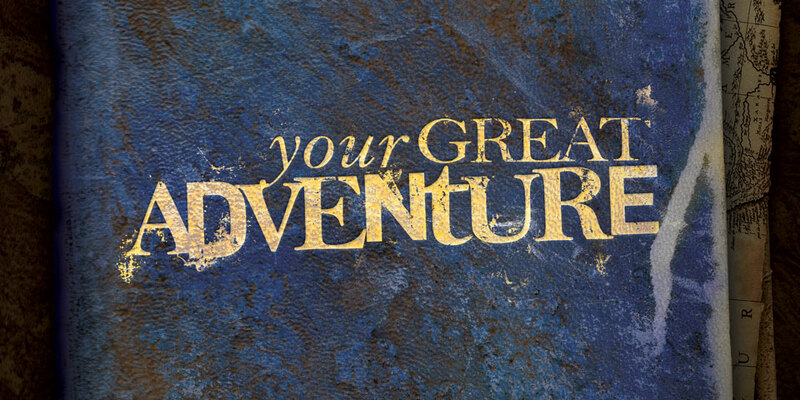 This five-week series based on the book "Your Great Adventure" included a three-month marketing campaign that lasted through the completion of the series. In collaboration with the Phoenix First executive team, Mark led the planning of the campaign’s production and outgoing communications. 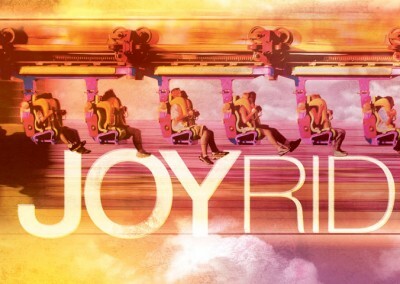 Theme artwork. Inspired by the 15th century Age of Discovery, the campaign aesthetics reflect themes of personal journey and exploration. Hand-drawn maps and icons were included, while subtle anachronistic elements were incorporated to keep the look fresh and unique. Book design. The book cover derived its look from the primary theme. For the interior pages, line art accompanied chapter headings — icons of exploration, such as a sailing ship, a compass, a map. 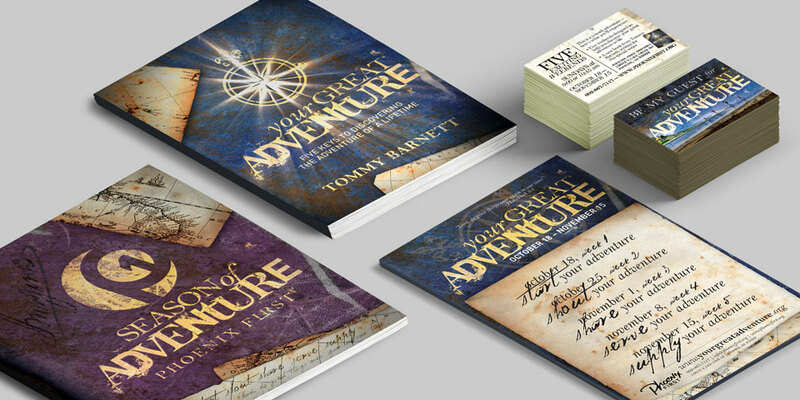 Invite cards, response forms, 10×3′ banners, and series schedule were designed and printed as support materials for the campaign. Apparel. 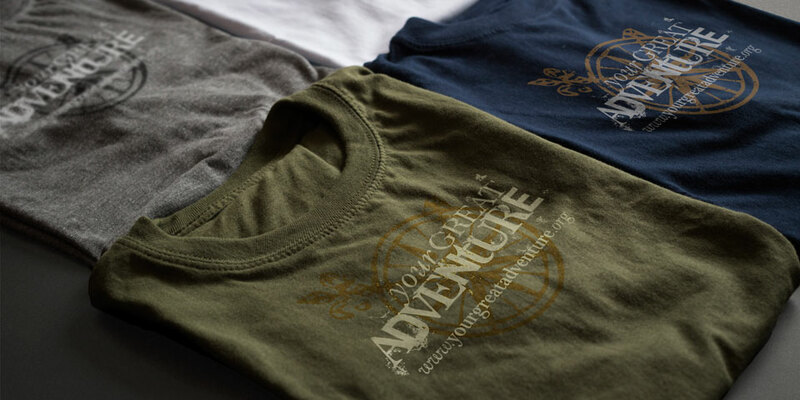 In a first for the organization, t-shirts were designed for the campaign. They proved to be a popular feature of the series. Motion graphics & video. Promotions included highly stylized 15-90 second videos that helped to convey the series themes in a relevant fashion. Digital marketing. In addition to regular website and social media promotions, a campaign blog and email outreach allowed ongoing communications related to news and events, as well as providing opportunities for viewers’ feedback and to share their stories. 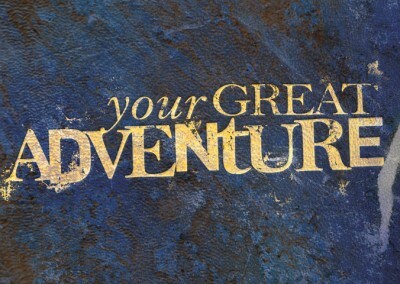 A distinctly separate but related 90-day follow-up theme, called “Season of Adventure”, was also designed as a continuation of the original series. The campaign was one of the most successful multi-week series in the organization’s history. 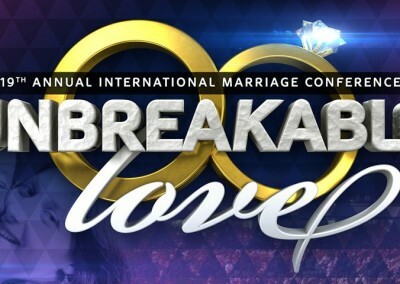 It received national exposure as a resource for other churches who adopted the series. It also became a model for future large-scale series campaigns. © 2019 Mark Knoles, all rights reserved.